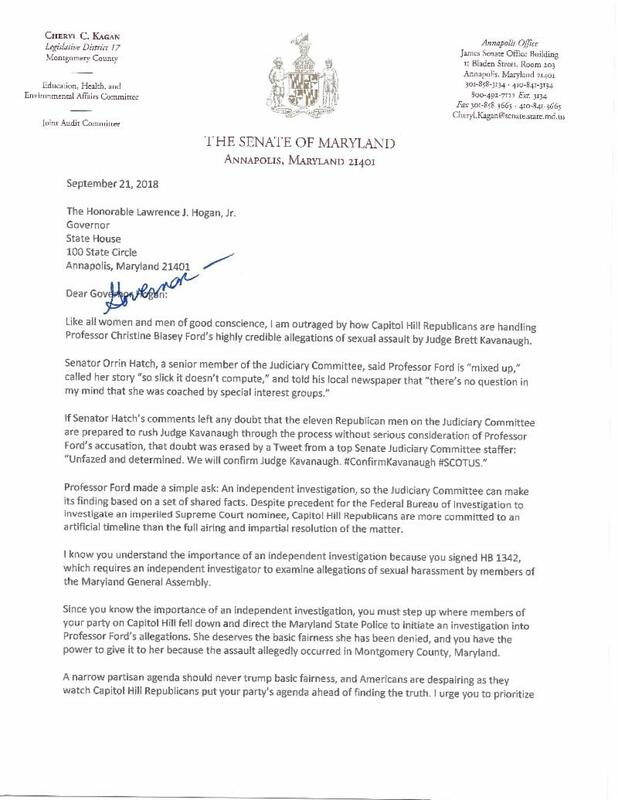 Governor Hogan has the authority to ask the Maryland State Police to investigate the very credible complaint by Dr. Christine Blasey Ford that occurred in our state. 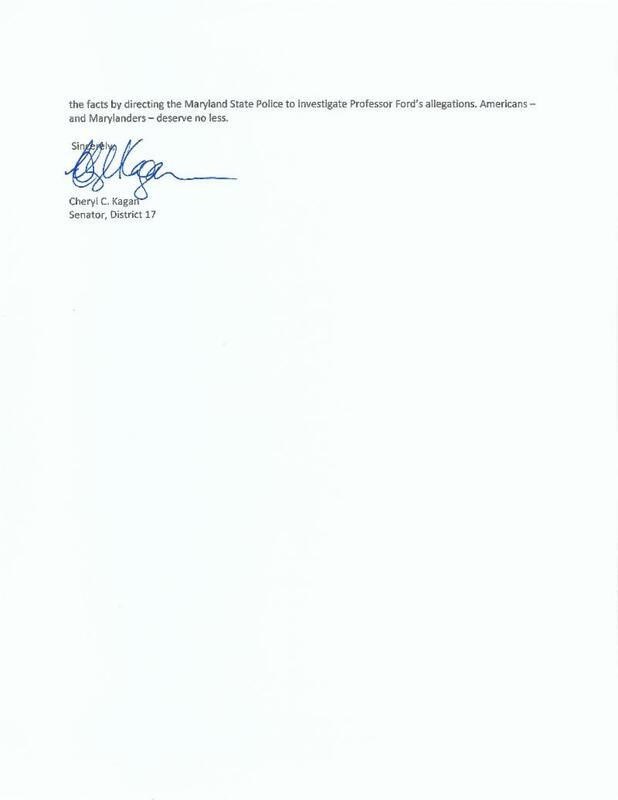 I am disappointed that he has refused to stand up for Maryland women. Members of the U.S. Senate deserve to have the facts before they vote on a lifetime Supreme Court appointment. About Senator Cheryl C. Kagan: Senator Kagan (D) represents District 17, Rockville and Gaithersburg, in the Maryland General Assembly. First elected in 1994 to the House of Delegates, Kagan served two terms before stepping down to work in the non-profit sector. In 2014, Kagan returned to elected office, winning her first term to the Maryland State Senate. Kagan serves on the Education, Health and Environmental Affairs Committee, Joint Audit Committee, and Joint Committee on Federal Relations and is the Senate Chair of the Joint Committee on the Management of Public Funds. After being touched inappropriately by a lobbyist in March of 2018, she became the first legislator to share her “#MeToo” story that helped ensure passage of strong state legislation. By Authority: Citizens Helping Elect Cheryl Kagan (C.H.E.C.K. ), Michael Frazier, Chair; Roger Heymann, Treasurer.